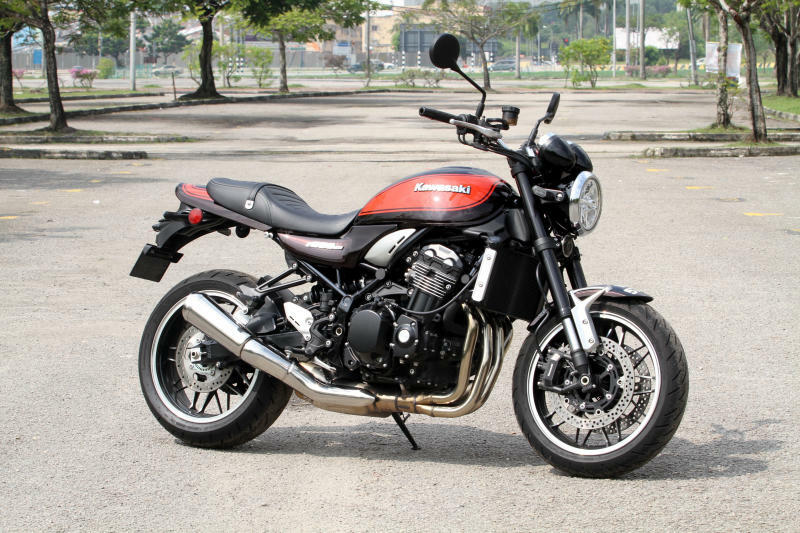 The 2018 Kawasaki Z900RS is built on the 70s styling taking cue from the Kawasaki Z1. 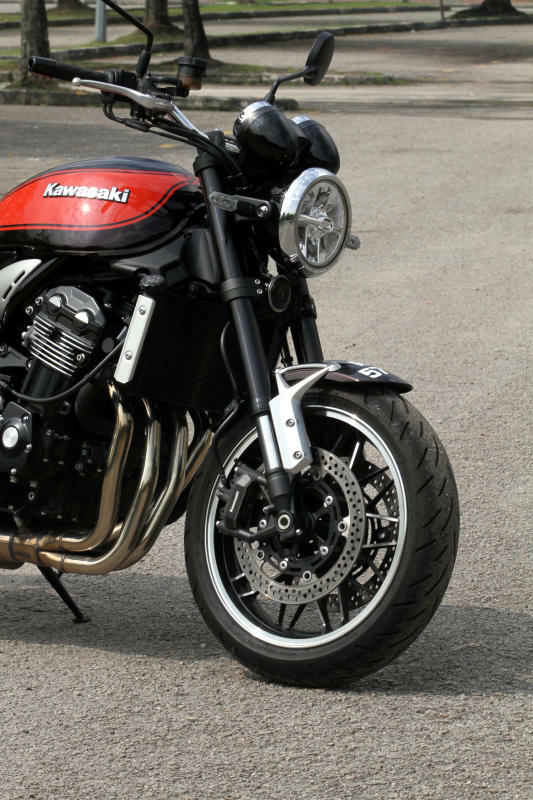 While fitted with the modern technologies, this bike appeals to the present riders who have a penchant for retro Kawasaki styling. 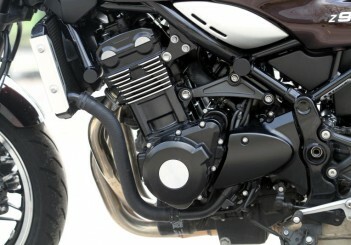 The design of the bike is very similar to the Z1. The seat is wide and comfortable. 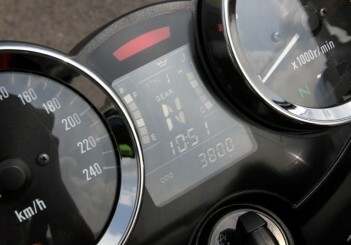 The instrument panel has two round gauges with a LCD display in between. 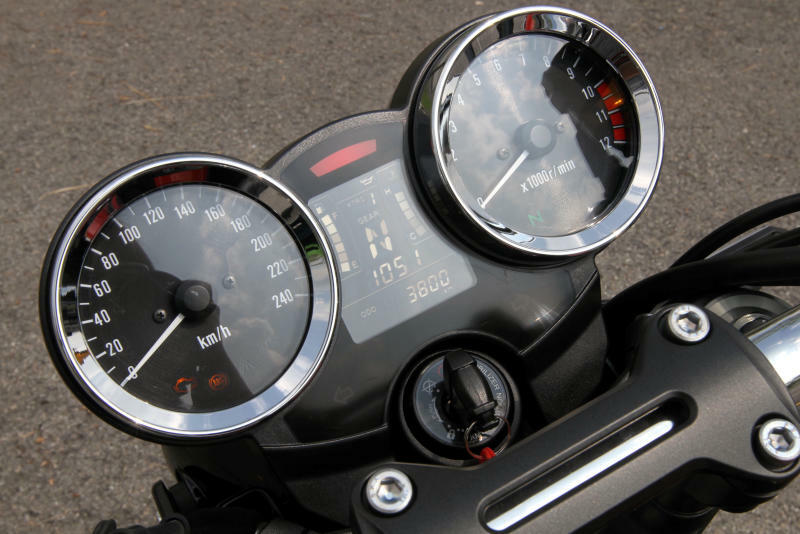 The LCD display offers information on fuel gauge, gear position, ambient and engine temperatures, and the traction control setting. 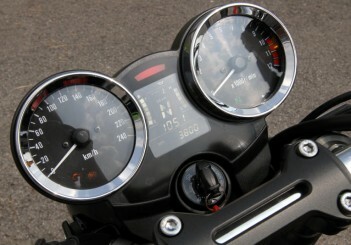 Kawasaki has made operating the LCD display simple. 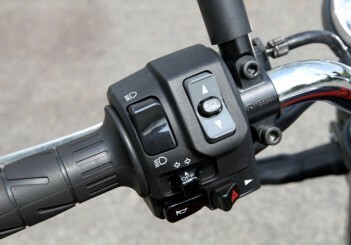 All I had to do was to manage the toggle which is placed on the rightside of the handlebar. 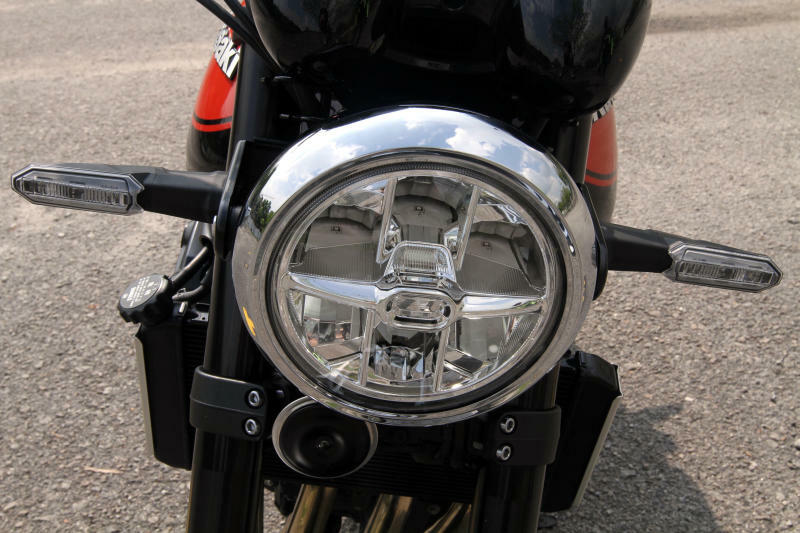 The big round LED headlight and the iconic teardrop fuel tank that Kawasaki was well known for during the 70s and 80s is the key design to ensure the retro look. 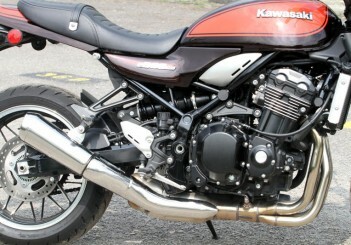 Without that headlight and teardrop tank, every other design on this bike would have failed to revive the retro look that Kawasaki envisaged. The long side mirrors further enhance the retro look complemented by the header pipes which are extremely shiny with a three-step buffing. These pipes will not discolour within a short period of time due to the heat omitted by the engine unlike other bikes in the market. 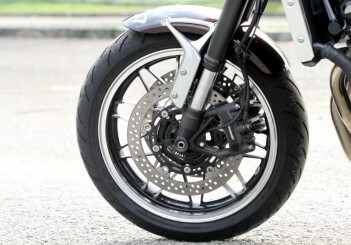 This bike comes with cast wheels but I preferred spoke-wheels, staying true to the original design. 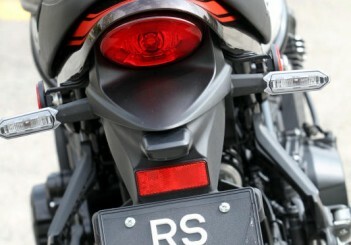 A must mention is the ducktail light which I find a nice final touch to the whole design. 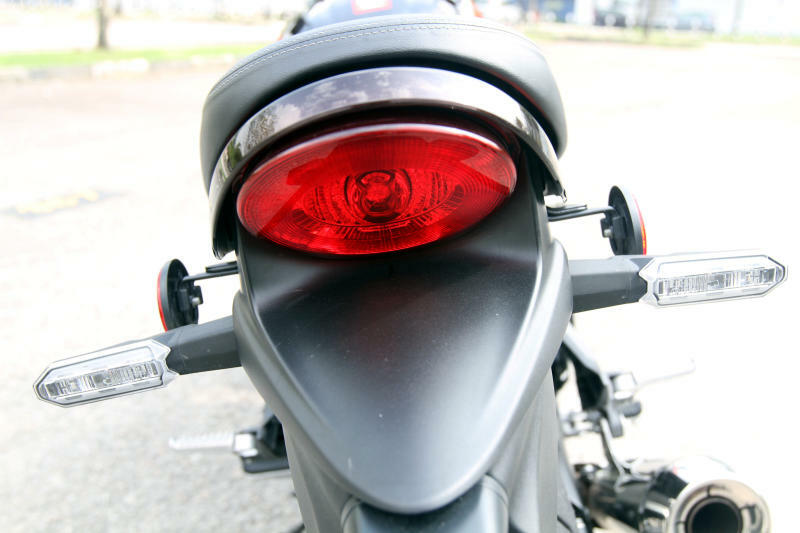 Besides the retro design, the performance of the bike is anchored on modern technology like ABS, traction control, fuel injection and essential information for riders about the bike via LED display. From the design of the bike, it is evident that the ergonomic of this bike is upright sitting position on a long and wide saddle. 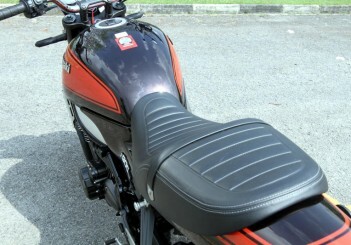 My ride to Morib via the backroads was very pleasant where the saddle was comfortable. 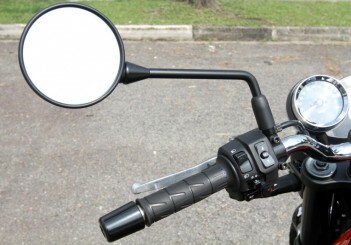 Reach to the handlebars and the gearshifter were natural. 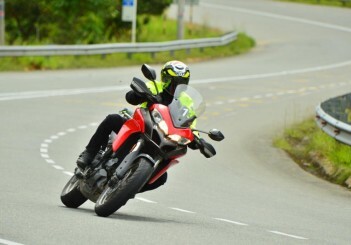 The bike was designed not for aggressive but rather relaxed riding. 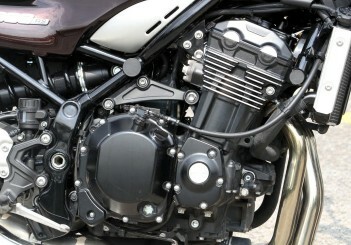 Please be mindful, even though it is designed for ‘pleasure riding’, the bike comes with huge amount of torque. 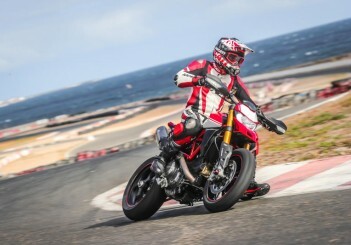 The bike delivers 110hp at 8,500rpm and 98.5Nm torque at 6,500rpm and mated to a six-speed transmission. The first and second gears are shorter compared to the rest of the gears. 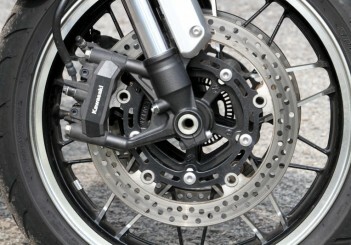 This sort of gearing ensures a more linear power build-up compared to other much aggressive bikes. The engine on this machine has been designed to offer linear power delivery. 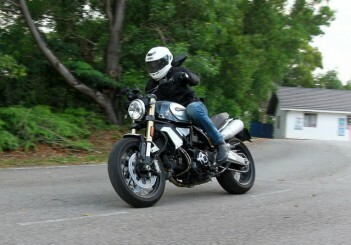 As I twist the throttle on the highways, power picks up gradually without any lag at all. 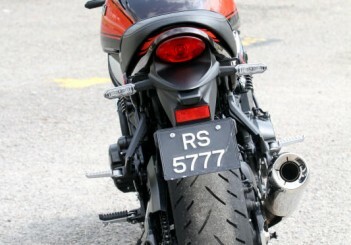 At 1,900rpm, I can feel the torque kicking in. 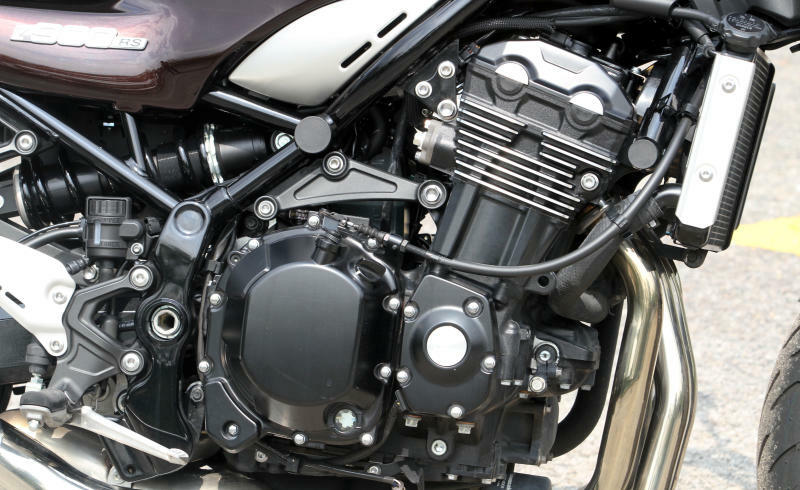 The sweet spot of the torque is at 5,800rpm and the Z900RS transforms from a law-abiding machine to a speed demon. I could easily power beyond the legal speed limit, tackle sweeping corners above 100kph and overtaking every single vehicle on the road. It was insanely amazing experience. 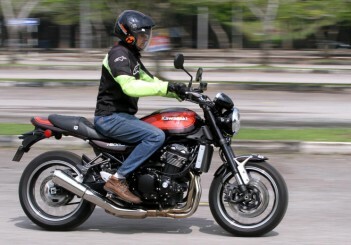 The throttle, clutch and gear-shifting worked clockwork and seamlessly. Even in sixth, there was still so much torque left, I was looking for the non-existent “seventh” to slot in to. 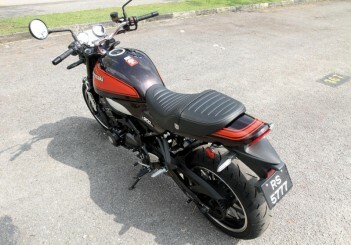 I am able to ride this bike anywhere in the city at low rpm and it does not stall because of its punchy torque. 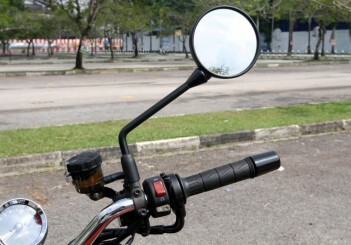 The only challenge I have with this bike during rush hour in Kuala Lumpur was the difficulty to squeeze in between cars due to its long wing mirrors. 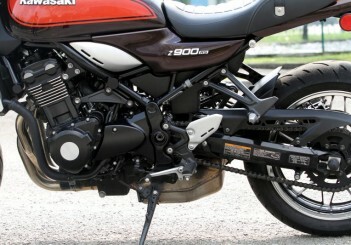 The Z900RS is fitted with Kawasaki TRaction Control (KTRC) which comes with two modes. Mode One allows full power and less restrictions and second mode is very useful during rain or on wet roads where KTRC minimises tyre skids and slips. KTRC is designed to keep riders safe. 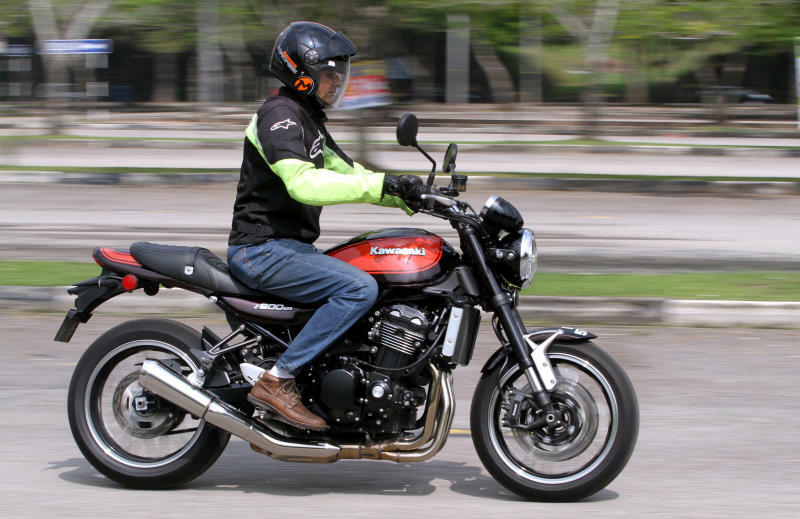 While riding the bike through the B roads and the corners, the rear suspension features 140mm rear suspension travel, gives me the comfort that I was expecting. It has an aggressive but yet pleasant characteristic that I personally feel is a good combination. 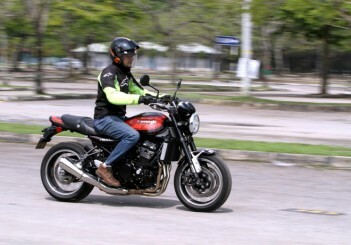 I guess the reason for this mix is because of how the bike behaves which is a lot of torque; yet it is designed for a pleasant ride without the aggression. 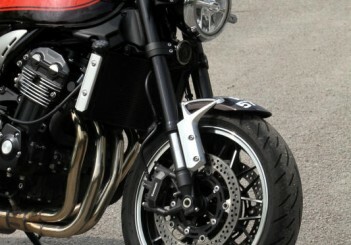 Meanwhile the front fork works well with on corners, humps and bumps. It is a bit soft but does not lunge. 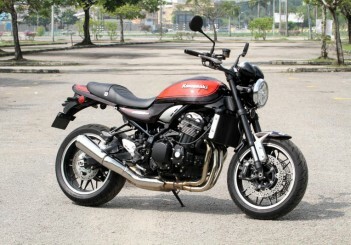 Priced at RM64,050 (without GST), the Z900RS is an ideal bike for daily use that can also be enjoyed on open highways. The present technology and the retro design are a perfect blend which experienced and new riders will very much appreciate. 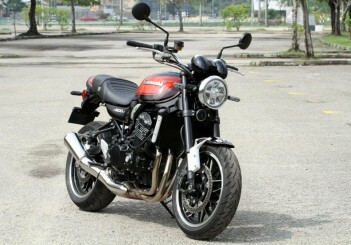 What is more even exciting about this bike is its timeless design which will always stay relevant in many years to come.